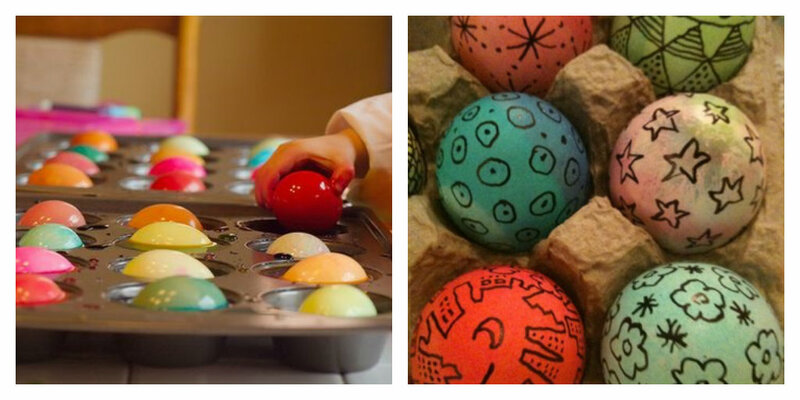 Oh so many lovely Easter eggie ideas! I must admit I haven’t dyed eggs for many, many years so it’s time to get into it with my boys this year. Before we do all the pretty stuff, let’s check in with Martha Stewart for some boiling and dyeing basics. A muffin tray is a cool way to dye them without a whole lotta mess. It also means you can use a great range of colours all at once. Once dyed you can simply decorate them with a Sharpie. Now for the really fun stuff! 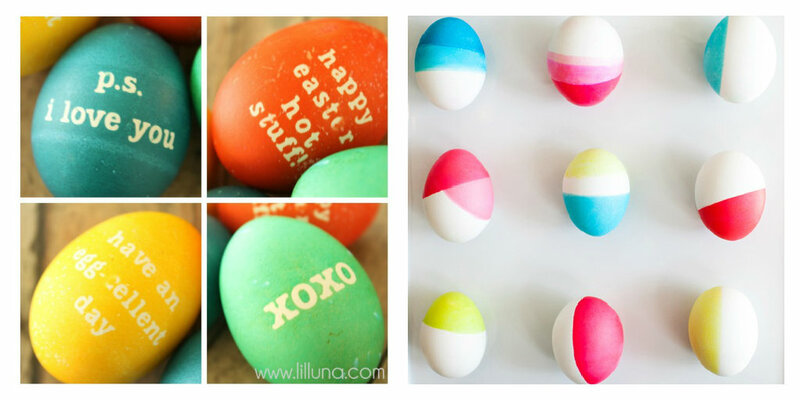 We are loving the latest looks in dyed eggs with these cool messages (a fun idea for lunch boxes too) and fab dipped white eggs (note: white eggs are a bit tricky to find in Australia). Black & white – these would be fun at any time of the year. 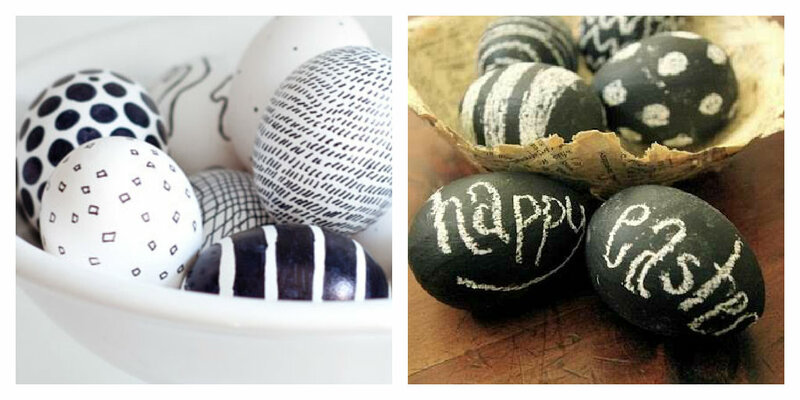 I am especially loving the blackboard eggs – you simply need to add two coats of blackboard paint to your eggs then decorate with chalk or chalk pen however you like! 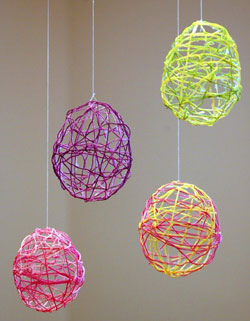 String eggs – Did you ever make an Easter Egg basket out of sugar water, string and a balloon back in primary school? Well now you can pass on the craft to your kiddies. Check out the tutorial here. 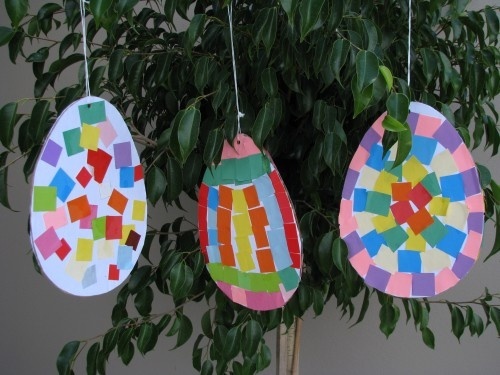 Paper collage eggs – this is an easy peasy (express) craft idea for littler ones however you could easily adapt it and add more detail for older kids. Check out the tutorial here. 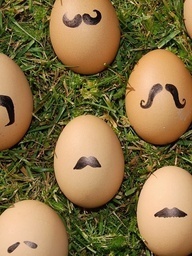 This entry was posted in creative stuff and tagged craft, decorate, easter, egg by rudyandthedodo. Bookmark the permalink.